Hi All - first time joining in the party, as I don't usually have suitable pics to share at the right time. This week, I gave Eden the cot quilt and cuddly I'd made for her. and last night her Mum put the quilt under, as she's too young for one yet, but the cuddly proved a great hit. I'm posting this over here at A Stitch in Time so, when you have time, pop over for some more reasons to smile this weekend. I'm also putting it on over at Linda's Stash Busting Party, so mosey on over and take a peek there, too. All the fabrics used above came out of my stash, collected over the years. In fact, if you look at the first pic, the blue floral triangle was left over from a baby dress for DD1 - and she's now 34!! Your quilt is lovely and so is Eden. Such a cutie! Stash busting is perfect for these smaller projects. 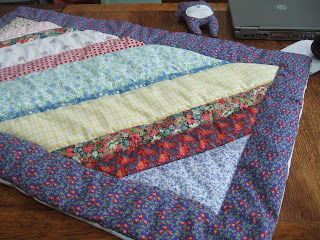 Not that the quilt was a SMALL project, just used small scraps (grin). And this little one is truly a doll. What a perfect name for a real beauty. Hope your Friday was all smiles and giggles. What a gorgeous little girl. The quilt will become an heirloom and she will treasure it as she gets older. 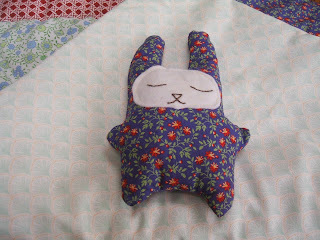 Love the little dolly you made with the same material. 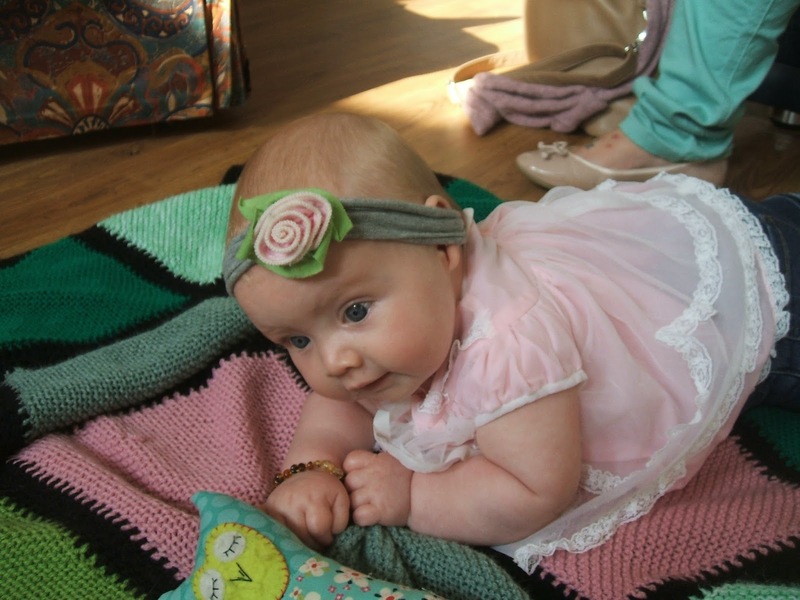 Love your quilt and toy and what a beauty your granddaughter is too!